As little as 10 years ago, being a vegan athlete was considered near impossible. 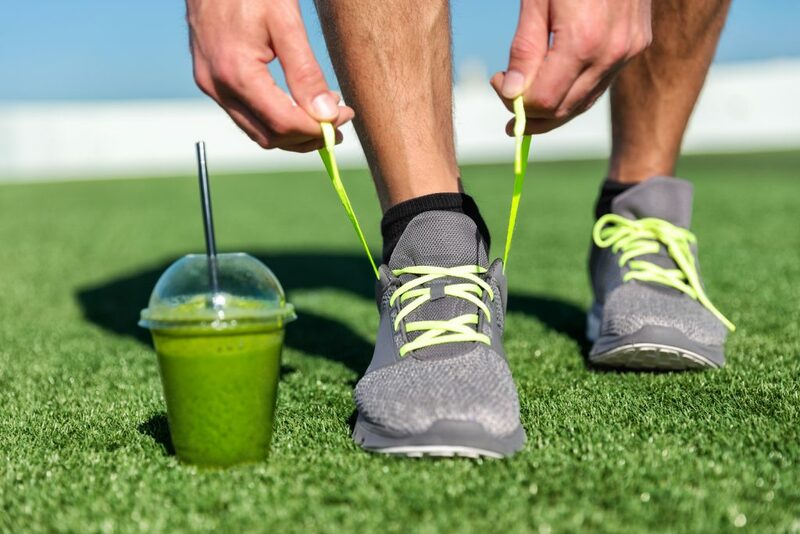 There wasn't a lot of research supporting the notion that a plant-based diet could be beneficial in the realm of sports. The majority of the population believed that the only way a person could increase their muscle mass was to consume animal products. This is why when NFL running back Ricky Williams decided to adopt a vegan diet his coach, teammates, and all his fans we up-in-arms. Fast-forward a decade and now we see the benefits of a vegan diet for competitive athletes and weekend warriors alike! Some other notable vegan athletes that you may recognize are Mike Tyson, Carl Lewis (track), Jake Shields (MMA), Eric Johnson (NFL), and Mac Danzig (UFC). One of the most important nutrients that athletes must ensure they get adequate amounts of is protein. Protein is the building block of muscle and without it, you will not be able to get stronger or faster. One of the easiest ways to include more plant-protein is to use a protein powder. When looking for a vegan protein powder it is important to find one that is easily digestible and is high quality. One of our favourite vegan proteins is Iron Vegan. 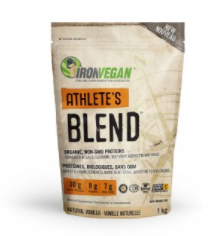 For competitive athletes and people that workout more than 3 times a week we recommend their Athlete's Blend! The Athlete's Blend is designed with the athlete in mind and is designed to support you in your toughest physical endeavors! 1) Organic Plant-Based Proteins Plant-based proteins nourish, alkalize and fuel you, so you can push yourself to the limit and come back stronger than ever. 2) Added Fermented Vegan Glutamine Glutamine is an important amino acid that has long been known to promote muscle cell repair and immune function after exercise. 3) Added Fermented BCAAs Branched Chain Amino Acids (BCAAs) are considered the building blocks of muscle. They help to protect your lean tissue and promote recovery after exercise. 4) Taurine Taurine is an amino acid found in the heart and brain that has been shown to improve both mental performance and physical stamina. 5) Beet Root Allows more oxygen into your cells, which give your body a boost of energy! 6) Quercetin An amazing antioxidant that helps your body recover after a hard workout. 7) Zinc Zinc is an important mineral for hundreds of functions in the body. Its included to support immune function, which is suppressed after physical activity, and to improve tissue formation. 8) Piperine You can only get as many benefits as you’re able to absorb. Piperine is a black pepper extract that helps nutrients pass through your digestive tract and into your bloodstream. In the market for a plant-based protein? Give us a call or come to our store and we will help you pick the best one for your needs.